As of October 9th, 2018, there are 19 homes available in the Rosedale (part of C09) area, ranging in price from $1,450,000 for a semi-detached home on Edgewood Crescent (19 days on the market) to $22,800,000 for a detached home on Park Road (223 days on the market). Last month, three homes sold in Rosedale, all were detached homes. 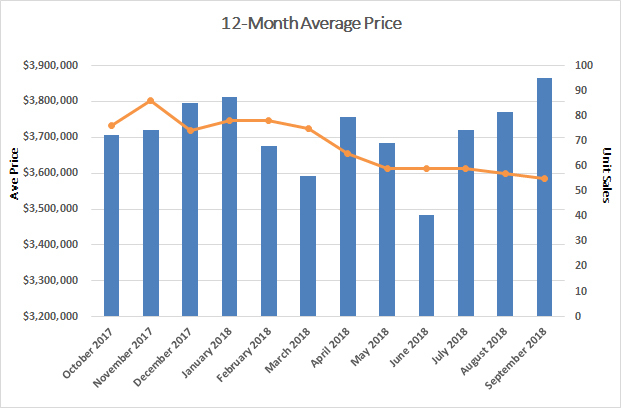 The average time to sell a home was 56 days; one home on Dunbar Road sold a day after it was listed, while the longest lasted 159 days on the market. 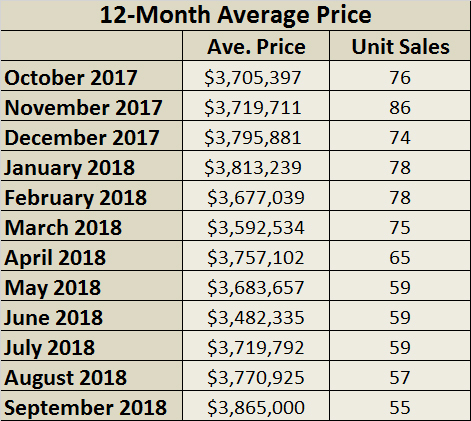 This doesn't include the four homes that had been listed for more than 30 days or the 10 homes that were listed in the month of September and are not selling at their current listed prices. Entry into the Rosedale market now requires buyers to spend over $2,300,000 for a semi-detached home and at least $2,100,000 for a detached home. Buyers continue to look for homes in midtown while low inventory still continues to drive bidding on homes. Consider me your Rosedale neighbourhood real estate expert and resource. When it is time to move, I am here to help with insightful strategies, expert negotiation skills and results-focused marketing plans. View home sales statistics for August 2018 here. Jethro Seymour is one of the Top Rosedale Real Estate Brokers and a midtown Toronto residential specialist with over 20 years of sales experience in real estate, marketing, construction and publishing. He has helped many families find homes in Toronto’s great neighbourhoods, and has extensive knowledge of local markets, new home construction, resale home sales, and the condo market. Living in midtown Toronto, Jethro previews many of the homes that come to market for his clients and inventory knowledge. Jethro specializes in Rosedale, Bloor-Yorkville, Summerhill, Casa Loma, Moore Park and Midtown Toronto neighbourhoods.